In 2017 a group of charismatic Minnesotans traveled to Uganda. They traveled with a Minnesota-based organization called the American Refugee Committee. 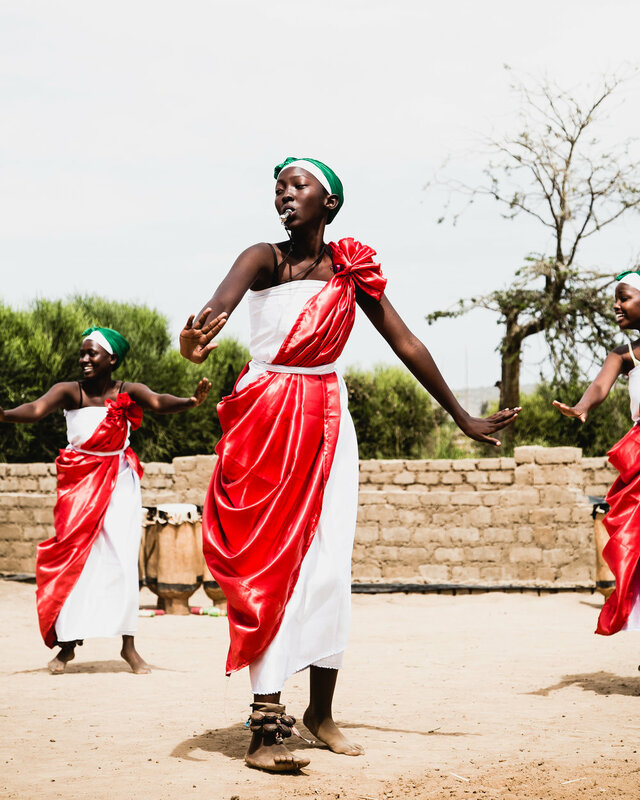 Their goal was to share the stories of the inhabitants of the Nakivale Refugee Settlement. There are over 100,000 refugees from all over Africa that live there. Many of the Minnesotans even ran a 5k fun run with them in the settlement for World Refugee Day! The travelers learned that refugees of the Nakivale Settlement are not defined by their current situation. They were acrobats and artists and farmers and mothers and lovers and kids who liked to play, laugh, live, create! 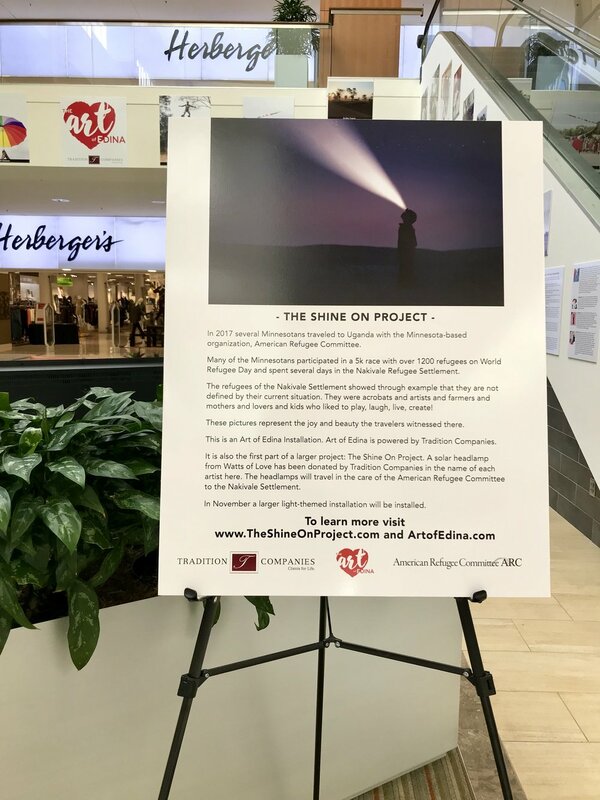 In early October 2017 photos taken by the travelers were installed in the main atrium of Southdale Center in Edina, MN. This fall the entire 4th and 5th grade classes from Our Lady of Grace Catholic School created colorful paper lanterns with the intention to spread light & cheer and bring awareness to our project. Their art teacher, Amy Slack led the project. In November 2017, over 150 paper lanterns were installed in the main atrium lobby area of Southdale Center! There is a launch party to celebrate. In addition to sponsoring the program, Tradition Companies has donated a solar headlamp in honor of each OLG student artist. That means that over 170 solar-powered headlamps have been donated to a person in need in Uganda! In early November the headlamps traveled in the care of the American Refugee Committee to the Nakivale Settlement in Uganda and were distributed. Pictured here: deaf refugee students receive a solar powered light as a direct result of our project! If you would like to learn more or donate a light, please visit www.TheShineOnProject.com.